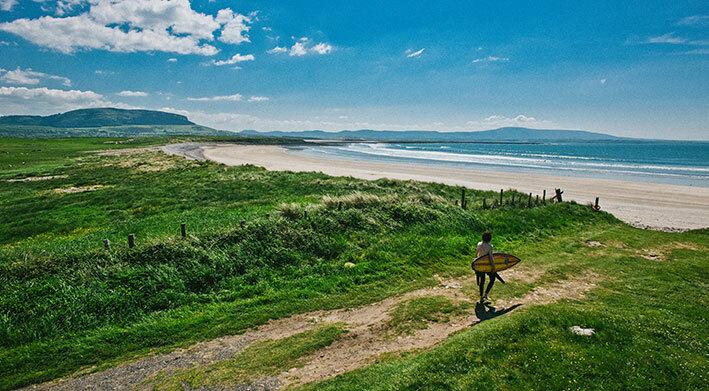 Steeped in local history, Strandhill is a haven for the culturally curious. With many ancient sites, beautiful beaches and migrant birds, this seaside village should be on everyone’s bucket list. 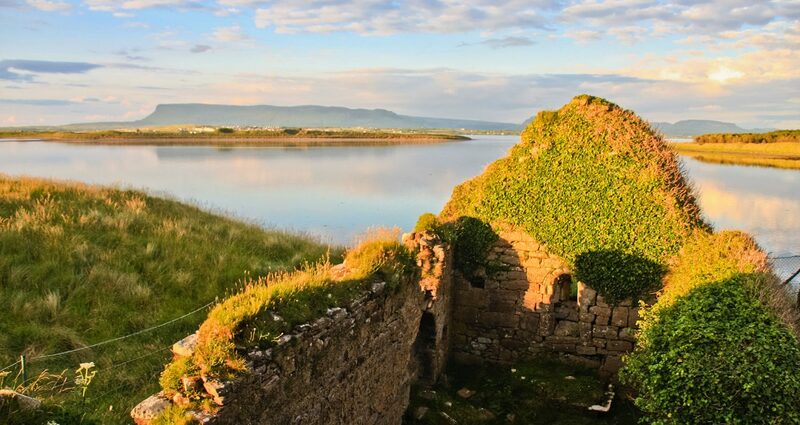 The first thing you may want to do after arriving in Strandhill is visit Knocknarea. The majestic mountain features a prehistoric cairn dating back 5,000 years – making it older than the Egyptian pyramids – and according to local legend it’s the burial ground of ancient goddess Queen Maeve. Fond of a good story, locals will tell you all about Connaught’s warrior queen. The large chambered cairn on top of Knocknarea is known as Queen Maeve’s Grave and word on the street is that Maeve is buried here ready for battle – upon her horse facing her enemies in Ulster. Standing at nearly two hundred feet long and forty feet high it’s the largest unopened cairn in Ireland and it’s thought to conceal a Neolithic passage tomb. 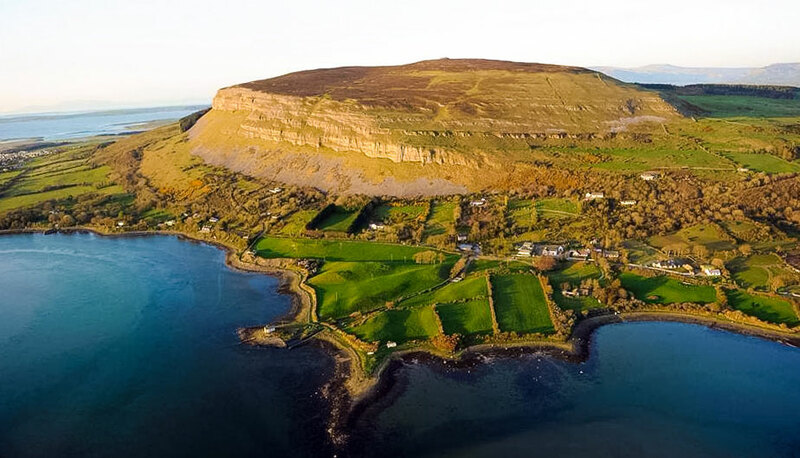 The best way to reach this legendary site is along the Queen Maeve trail which takes you up the northern slopes of Knocknarea, past megalithic and Bronze Age remains, as well as derelict stone cottages. It takes about 90 minutes to complete the trail, which has 500 wooden steps making for an easy climb to the summit. If this climbing adventure has you itching to discover more about megalithic tombs then the Carrowmore Megalithic Cemetery is the next stop for you. 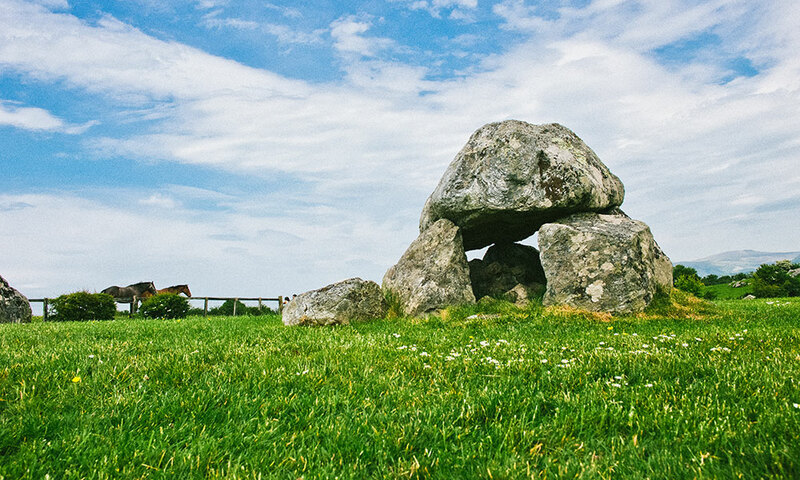 This is one of the largest Stone Age cemeteries in Europe and with the central monument of Listoghil dated to 3600 B.C this is one place you do not want to miss. Carrowmore also has a visitor centre where you can learn more about the prehistoric sites and a guided tour can be arranged, or you can simply stroll around. For ruins of a different kind there’s Killaspugbrone, an ancient church and adjoining cemetery behind the now defunct Strandhill airport. Killaspugbrone church was founded by Saint Patrick in the fifth century, but the present ruins date to the period between 1150 and 1220. The older ruins are long buried under the sand, but the church and cemetery have been preserved thanks to the planting of marram grass. As well as being a place of historical importance, the Killaspugbrone Loop is also the perfect area to experience the beauty of a Strandhill sunset. There are many intriguing ruins dotted along the walkway, so we recommend allowing extra time to take in the beauty and history before the sun goes down. For those looking to meet some local and visiting Creatures, Culleenamore is a diverse animal habitat. Embrace the life of a local with a morning stroll along Cullenamore beach where you’ll see birds flocking overhead and if you’re lucky you might even spot some seals in the distance. Another unique feature are the oyster beds, which are one of the oldest in the county with huge mounds of oyster shells buried under the sand. 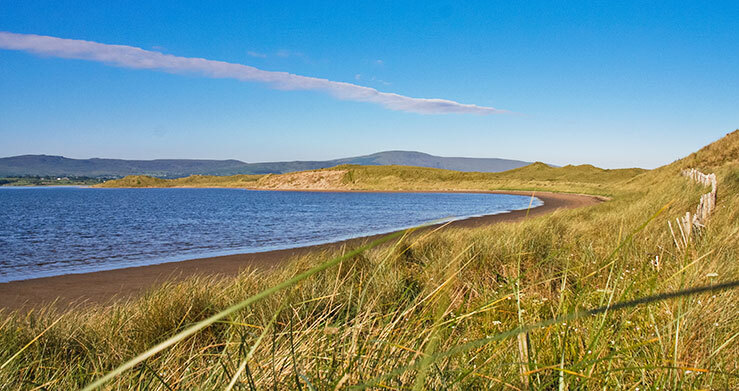 This walking route has two options – a 90 minute walk along the sandy curve of the shore from Culleenamore to Strandhill, or a 45 minute stroll across the sand dunes – both routes lead to Strandhill Village where you can feast on local cuisine. But it’s not time to go home yet – no visit to Strandhill is complete without traveling back in time to Coney Island. On this quaint island you can observe the village life of yesteryear, while admiring the beauty of unspoilt nature. The wetlands here welcome Brent Geese from as far as the Canadian Arctic Circle during winter months, so it’s also a great place to spot some migrant birds. Journeying to the island is just as magical as the destination itself. You can drive, cycle or walk across the seabed when the tide is out. There are fourteen pillars to guide you along the safest route – a one and a half kilometre stretch – to the island. But the tide comes in fast and heavy, so it’s important to check the tide times before venturing out. If you’re planning a visit simply text ‘Coney’ to 51155 on the day of your trip and you’ll receive a full forecast of safe times to visit the island. There is only one small pub on the island – business hours vary – so if you’re planning to stay for a few hours it’s best to be prepared with some snacks and refreshments.